The world of beauty is advancing almost as quickly as technology is. What was cutting edge one month is old school 6 months later! Exciting new science is happening in the world of beauty and you can choose what 40, 50, or 60 years looks like. You can dictate it all--from how your body looks and performs, to how your skin, hair, and lashes look, to the way you feel! It's amazing and it's up to you whether you take advantage of the new findings or leave it strictly to chance. What I've decided to do is evaluate what my life goals look like. I want to be able to hike mountains for a long time and I want to enjoy grandchildren that I hope to eventually have! 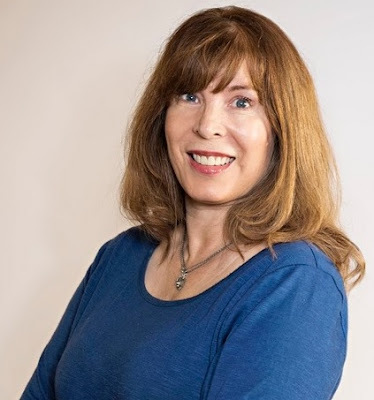 (Cross my fingers that it's before I'm 60, my sons are in no rush to have kids anytime soon!) I don't want to be a slave to beauty---constantly trying to upkeep my looks and my physique to the point I don't have time to do anything else. But I DO want to feel healthy and look good in my 50's, 60's, and beyond. It requires some maintenance, but not as much as you would think, if we're smart! A company called NeoCell has done the research and provided the products--all I need to do is make it fit into my routine. 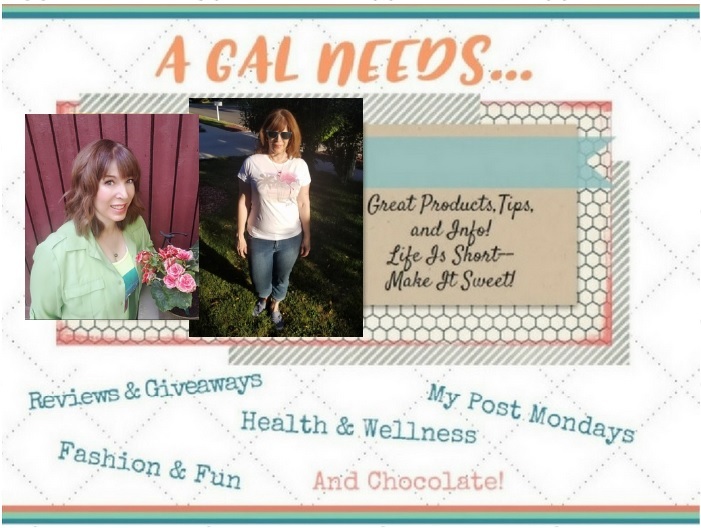 Here are a few things I do to save beauty maintenance time! This blog uses affiliate and non-affiliate links for reference purpose. This is a partnered post. Snack For Beauty. I gotta have me some snacks. But I can make them good for me at the same time! One of the best ways to keep up hair, skin, and nails is to give it the foods it loves. Did you know that collagen is one of the most important components for skin, hair, and nails? Unfortunately, what your body produces naturally in your 20's, diminishes significantly every decade. But there are some really easy ways that you can fortify yourself with collagen. Thanks to NeoCell, the leading company in collagen research and products, you can incorporate collagen supplementation in your daily routine so easily! 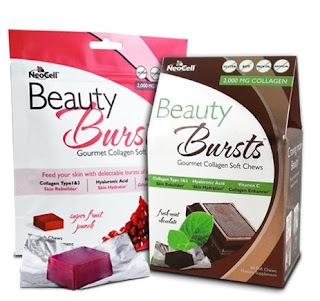 A product called NeoCell Beauty Bursts Gourmet Collagen Soft Chews are the bomb! 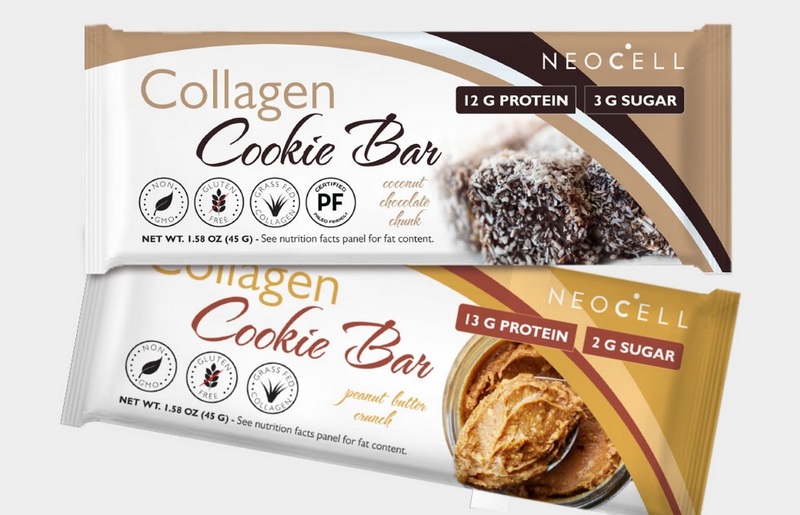 They taste like Star Bursts, yet supply you with collagen which is easily absorbed into the body. Just be careful! They are addicting! They are gluten, soy, and palm oil free, not to mention there are no artificial flavors. 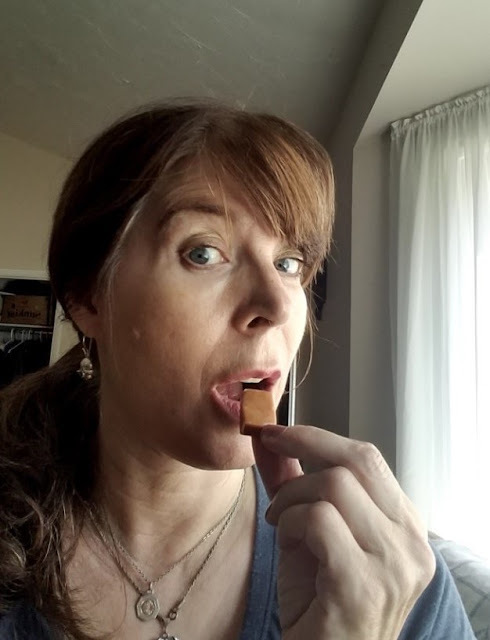 I am guilty of taking more than a daily serving, which is 2 bites, providing 2,000 mg high absorption collagen 1 & 3, 20 mg Vitamin C, and 20 mg Hyaluronic Acid which is known as "nature's moisturizer" because it hydrates the skin. I also love their new Collagen Cookie Bars for the same reasons! They are new, and really good! Do I look guilty below, or what? I may or may not have eaten more than 2 servings today! Beauty Bursts are so good! Add To Things Already In The Routine. Another amazing product that you can sneak into a smoothie or flavor your water with is the Collagen +C Pomegranate Liquid. It adds antioxidant benefits to clinically tested collagen. We already know that breakfast smoothies are good and we know that water is something we need. It just makes good sense to incorporate all the benefits possible into the good things that are already in our routines. Of course, you can also take the Collagen +C Pomegranate Liquid straight! It's pretty tasty! 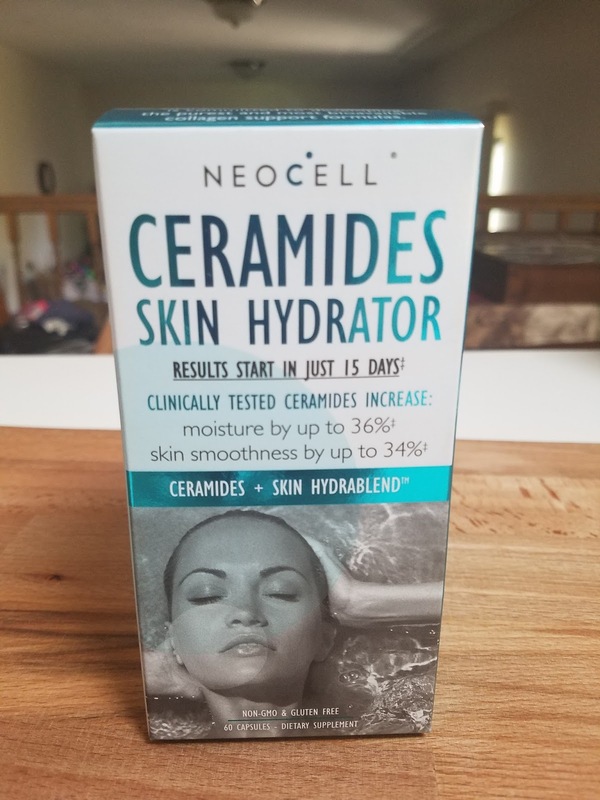 When taking daily vitamins, make sure to include NeoCell's Ceramides Skin Hydrator in the mix. It's a capsule that contains 30 mg of ceramides, the hottest beauty ingredient of 2017 because it improves skin moisture and reduces trans epidural water loss! 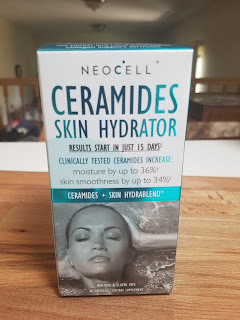 I love the latest beauty science and I love how NeoCell does the research and makes products that fit into my busy lifestyle so I don't have to spend precious time wondering if beauty maintenance is really worth it. Obvs, it definitely is!